labour party | Ipswich Unemployed Action. The shadow chancellor tells Sky’s Sophy Ridge the government’s benefit systems is past being fixed, in a change of policy. Shadow Chancellor John McDonnell has said Universal Credit “has got to go” in the strongest signal yet that Labour would scrap the government’s flagship benefit scheme. Labour has previously called for Universal Credit to be paused and reformed. But McDonnell said the government’s attempts to shake-up the benefit “haven’t worked” and Universal Credit “is not the safety net that people expect when they need support. “I think we’re moving to a position now where it’s not sustainable, it will have to go,” he said. It comes amid reports that Work and Pensions Secretary Esther McVey has privately warned that families could lose £200 a month. 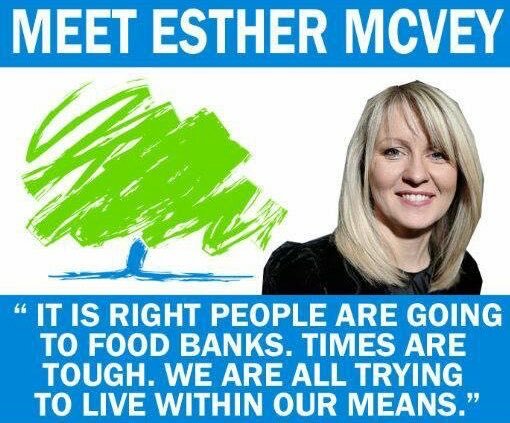 According to The Times, McVey told fellow cabinet members that the rollouts could result in millions of families losing out on the equivalent of £2,400 a year. It is thought that half of single parents and two out of three working-age couples will be affected by the new system. McDonnell said the system was “in shambles”. Asked what Labour would replace Universal Credit with, McDonnell called for a cross-party debate and said it would consult widely. Brought in by the former Work and Pensions Secretary Iain Duncan Smith, Universal Credit was designed to simplify the benefits system, but the benefit has been associated with a huge rise in the use of foodbanks. McVey, on Monday, unveiled plans for a £39 million partnership with charity Citizens Advice to support applicants in getting their first payments on time. Research by the Child Poverty Action Group in August warned that Universal Credit claimants in employment were facing cuts of more than £250 a month as a result of pay day coinciding with assessment periods. We await clarification about Labour’s Official Policy. Universal credit changes will bar 2.6 million children from free school meals. No More Free Grub for the Nippers of 2,6 million UC Claimants. Debbie Abrahams resigned from/temporarily stepped aside from her position as Shadow Work and Pensions Secretary in March. Since then we have heard little from Labour on the important issues surrounding Universal Credit, not least the hint of a serious worked out alternative to the shambles we can now see. So far, our campaigning has made major steps towards fixing the programme. The Tories were forced to scrap the up to 55p per minute helpline charge and the waiting time to receive the first Universal Credit payment was cut from six weeks to five weeks. This is a great achievement, but there’s work still to do. Families are still going hungry, relying on food banks and unable to make ends meet. Frankly, this is not much. We need a full alternative worked-out policy. Universal credit changes will bar 2.6 million children from free school meals, warns Labour. Eligibility changes mean 1.1 million children receive free school meals but 2.6 million would be entitled by 2022 if they had been kept the same. Up to 2.6 million children whose parents are on benefits could be missing out on free school meals by 2022, the shadow education minister will warn. Angela Rayner will tell a GMB union conference on Sunday that the Government’s claims on school meals are “falling apart” after changes to eligibility under Universal Credit (UC). When the system was first introduced in 2013, all children of recipients – who were all unemployed – were eligible for free school meals (FSM), as they would have been under the old system. But in April the criteria was tightened based on income. In England, the net earnings threshold will be £7,400 whereas in Northern Ireland it will be £14,000. Nursery World backs this claim up. The figures, which are contained in the Department for Education’s (DfE) previously unpublished analysis, have been revealed following a Freedom of Information request submitted by the GMB Union. They show that the DfE expects 1.1 million children to lose out on free school meals by 2020 and between 2.3 million and 2.6 million to lose out in 2022. This is despite the DfE continually insisting that no-one will lose out under the new means-tested measure of eligibility for free school meals (FSM). The new system, which is currently being rolled out, will see households stop being eligible for FSM when they are earning £7,400 a year (excluding benefits). GMB general secretary Tim Roache said, ‘This policy is cruel, heartless and needless. In blunt and stark terms, this policy is taking food from the mouths of millions of children from poorer backgrounds. ‘Our members working in schools already encounter children with no food at home, they see packed lunches of no more than crisps or chocolate and buy snacks for their pupils out of their own pockets because too many parents are struggling to make ends meet. One in four parents are skipping meals in order to make ends meet, new figures show, prompting calls for the Government to better measure “hidden hunger” in Britain. A study published by a coalition of anti-food poverty charities finds 23 per cent of parents with children aged 18 and under skip or see someone in their household skipping a meal due to a lack of money for food. Key Benefit Cuts this Year. End the Benefit Freeze! The Labour Party has been criticised for not campaigning for an end to the Benefit Freeze. This is the last time it came up, on the 25th of August 2017, “Jeremy Corbyn will today call on the Government to end the benefits freeze – despite failing to contain a similar pledge in Labour’s election manifesto.” (Politics Home). The Shadow Secretary of State for Work and Pensions, Debbie Abrahams, has said nothing recently on this burning issue – at least that can be tracked down. Millions of families on brink face deepest benefit cuts in years https://t.co/BYlGe98NgF £34bn in cuts to social security budget since 2010. Hammond must recognise the poverty & despair people are facing on Tuesday. Anybody worried about fuel bills after the hard winter, and the fact that everytime you go to the supermarket some price seems to go up, not to mention the next round of Council Tax demands (payable up to 20% of the total in some councils even for even those on benefits), would want an answer, beginning with calls to end the benefit freeze. Today (as in the above Tweet) the Observer publishes a long article, Millions of families on brink face deepest benefit cuts in years by Michael Savage. He highlights that this is far from a minority concern. What we need is an end to the Benefit Freeze! Labour’s Policy on Universal Credit: from “Fix it” to Change the Whole System. What Labour is up against. “The Tories’ Universal Credit programme is pushing thousands of families into poverty, debt and homelessness. We’re demanding the Tories urgently pause and fix Universal Credit, before millions more are affected. Now some may say that calling on the Government to ‘fix’ Universal Credit is not much of a policy. This is some more detail, (from November, Guardian). This is some good work Debbie Abrahams is doing now. During #UQ on #PIP regs, I challenged the Gov't on their efforts to undermine & subvert both the decisions of independent judiciary & House of Commons. We need an end to the Benefit Freeze. Anybody going shopping knows prices are rising, as our bills also show. Housing Benefit should meet costs. We need a Pay Rise! We need an end to the way private chancers and ‘charities’, companies who run the ‘Unemployment Business”, of the likes of the Shaw Trust, Reed In Partnership, Ingeus, Remploy, are now going to take charge of the Work and Health Programme. Carillion indicates how these state contracted firms operate a poor service giant Ponzi schemes, pyramid sub-contacting is the least of it – for the profits and salaries of their bosses. We need an end to the system by which those on benefits have to pay a percentage of Council Tax. This obligation, introduced by Eric Pickles in 2013, means people pay different rates up and down the country, and was never compensated by a rise in out benefits. From this cut in our income there has come a rise in the numbers in Council Tax arrears. We need an end to any form of Workfare, something people suggest may come up again in the Work and Health Programme. The Sanctions Regime must be abolished. Food Banks and homelessness should not be seen as permanent features of our society. We want a decent standard of living, housing, and dignity, for all. Parliament Debates Universal Credit, Tory MP Breaks down in tears at Government, “improving the welfare system and the lives of those who use it”. Tory MP Heidi Allen breaks down in tears hearing misery inflicted by Universal Credit. That an humble Address be presented to Her Majesty, That she will be graciously pleased to give directions that the five project assessment reviews, carried out into universal credit between 2012 and 2015 by the Government’s Major Projects Authority now known as the Infrastructure and Projects Authority, and any subsequent project assessment reviews carried out into universal credit by the Infrastructure and Projects Authority between 1 January 2016 and 30 November 2017 that have been provided to Her Majesty’s Ministers at the Department for Work and Pensions, be provided by the Secretary of State for Work and Pensions to the Work and Pensions Committee. The purpose of today’s debate on universal credit, the fourth in nearly eight weeks, is to seek the release of the project assessment review reports on universal credit to enable this House to scrutinise the Government’s flagship social security programme. As some of my colleagues are saying, we are asking for the documents now. We are pleased the Government finally acknowledged that their universal credit programme is not fit for purpose, and now we need to understand the extent to which it is not fit for purpose through the publication of these reports. I wish to start by giving some context to today’s debate and then set out why it is so important that we have access to these project assessment reviews. For many months now, Labour has been calling on the Government to pause and fix universal credit. This is a direct response to the mounting evidence that the full service programme is driving hardship in the areas where it has been rolled out. I am sure hon. Members from across the House will now be aware of the figures, but the realities of the misery being caused by this programme bear repeating: half of those in rent arrears under UC report that their arrears started after they made their claim; 79% of those in debt are recognised as having priority debts by Citizens Advice, putting them at higher risk of bailiffs and evictions; and two in five have no money to pay creditors at the end of the month. I very much agree about the importance of a culture in which problems can be identified and passed up the command chain, with that system understood across the board. Clearly, when that does not happen, something needs to be addressed. When I entered this House in 2005—the right hon. Gentleman was a Minister at the time—we were wrestling with the problems of the tax credit fiasco, which was causing misery for vast numbers of people. If Members want an example of a project that failed because there was not a willingness to identify problems early, that is it. The Infrastructure and Projects Authority’s policy that review reports remain confidential is founded on the position that an effective and trusted system of assurance in government is in the public interest, and that the premature disclosure of review reports undermines that public interest. Those considerations must be balanced with the desire for transparency and parliamentary scrutiny. In exceptional cases, sharing information with a Select Committee, in confidence, can be appropriate. The motion refers to a number of reports, many of which date back some years, as my hon. Friend Heidi Allen pointed out. To disclose those papers without subsequent reports showing how well universal credit has progressed would give a partial picture. In line with the motion, I will provide, by the time the House rises for the Christmas recess, the reports directly to the Work and Pensions Committee. Let me point out to the shadowSecretary of State that her motion does not require us to publish these reports or to lay them before the House. Specifically, it says that those reports should be provided to the Committee. In those circumstances, it is acceptable for us to do so. As is customary, I will need to consider redacting any appropriate material, such as the names of junior officials and information that is commercially sensitive. I wish to emphasise that it is the Government’s view that this is an exceptional request that will be agreed to on an exceptional basis, and does not set any precedent for future action. Against that background, I shall provide the reports to the Select Committee on a confidential basis. In those circumstances, I hope and expect that the documents will not be disclosed further. Let me turn to the substance of universal credit then. Universal credit is the biggest modernisation of the welfare state in a generation. The old system traps people in a cycle of benefits dependency, incentivising working only 16 hours or fewer a week and preventing people from reaching their potential. Universal credit frees people from those hours limits and lets them keep more of what they earn. Under universal credit, people are moving into work faster and staying in work longer than under the previous system. Once universal credit is fully rolled out, it will boost employment by around 250,000, which is equivalent to 400 extra jobs per constituency. It is improving the welfare system and the lives of those who use it. Read the full – long – debate here. This is what most people will remember. Heidi Allen urges colleagues to ‘make this better’ after hearing tales of despair the policy is causing Ben Kentish Independent. A Conservative MP was moved to tears after listening to a Labour colleague describe how the Government’s universal credit left one of his constituents contemplating suicide and others forced to attend a funeral in order to eat. Heidi Allen was visibly upset as she rose to speak in a debate on the controversial policy, the implementation of which has been the subject of criticism from across the political spectrum. The South Cambridgeshire MP was speaking moments after Labour’s Frank Field, who represents Birkenhead, told the Commons he had had to persuade a man not to take his own life because of the “destitution” the welfare policy has caused. Speaking immediately afterwards, Ms Allen paused and said: “I don’t know where to start after that. I’m humbled by the words from my honourable, good friend from Birkenhead. Labour needs to develop an alternative to Universal Credit and the Benefit Freeze. The Labyrinth: Claiming Universal Credit. Labour has finally spoken about Universal Credit. But, as quoted, Debbie Abrahams, shadow Work and Pensions secretary, leaves many things unsaid. Labour has warned that low pay and insecure work “are endemic in our economy” after new figures showed 210,000 people claiming universal credit are in work. Some 540,000 are now claiming universal credit, a flagship policy in the Government’s welfare reform programme which is being gradually rolled out across the country. Around 39% of those are in employment but on low incomes, with the benefit paid to those in employment as well as those out of work. Ministers say universal credit makes work pay by supplementing incomes and simplifies the benefit system. Debbie Abrahams, shadow work and pensions secretary, said: “The Tories’ principle that work will always pay under universal credit has failed. “The increasing numbers of working people in receipt of universal credit show just how many workers are forced to rely on the social security system to make ends meet. What about the Benefits’ Freeze which affects those on Universal Credit? What about the chaos caused by the waiting time to get Universal Credit? What about the misery caused by Housing Benefit delays on Universal Credit? What about the Sanctions Regime for those on Universal Credit, which touches not just the unemployed but also those working? Finally, amongt other injustices we have the ludicrous obligation of all claimants to pay a percentage of Council Tax. “Thousands in court for council tax arrears as benefit cuts hit home” (2014). Benefits were not raised at the time so effectively claimants suffered a cut in their income. The freeze on welfare payments means they lose out more and more. What has Labour said on these issues? Nobody has yet to talk seriously of of getting rid of this scheme, designed to grind the faces of the poor. In Labour’s Manifesto we had a commitment to “ a redesign and reform of Universal Credit (UC)” . This apparently applied mostly to the technology involved, as the source (Government Computing) indicates. And, of far greater importance, what of the issues listed above which have led to poverty level incomes for people on benefits, sanctions, and all the rest…. All we have so far in the public domain (and I am informed there is not much elsewhere, unless there are some hidden Labour Policy Commission types busy burrowing away on the Work, Pensions and Equality Commission whose work has yet to see the light of day..) are broad brush ideas on “Tackling poverty and inequality” and “making work pay” . “The benefit cap is something that Labour would look to ending, Debbie Abrahams has said. The idea, which has not yet been costed, would stop the household cap of £20,000 per household outside of London. The cap in London is £23,000. Parents must work for at least 16 hours a week to avoid the cap. Getting rid of the benefit cap was not in Labour’s general election manifesto. The shadow work and pensions secretary brought up the impact on child poverty that the cap has. Last week a judicial review brought by four families said that the cap brought “real misery” for families with young children, in comments reported by the BBC. The Abrahams statement today adds little to the one she made in 2016. “Yet again the Tory Government has been forced to extend the Universal Credit rollout. This is the seventh time that the timetable has been altered since March 2013 and the implementation of Universal Credit is beset by problems. For example, UNISON has made me aware of a worker who has fallen foul of the strict DWP monthly assessment period, meaning she’s losing nearly £700 a year in Universal Credit on a £11,600 salary, purely because her monthly pay date varies. This simply isn’t acceptable. Between 2016 and 2017 it’s become clearer that we need a root-and-branch approach to replace Universal Credit in its present form. 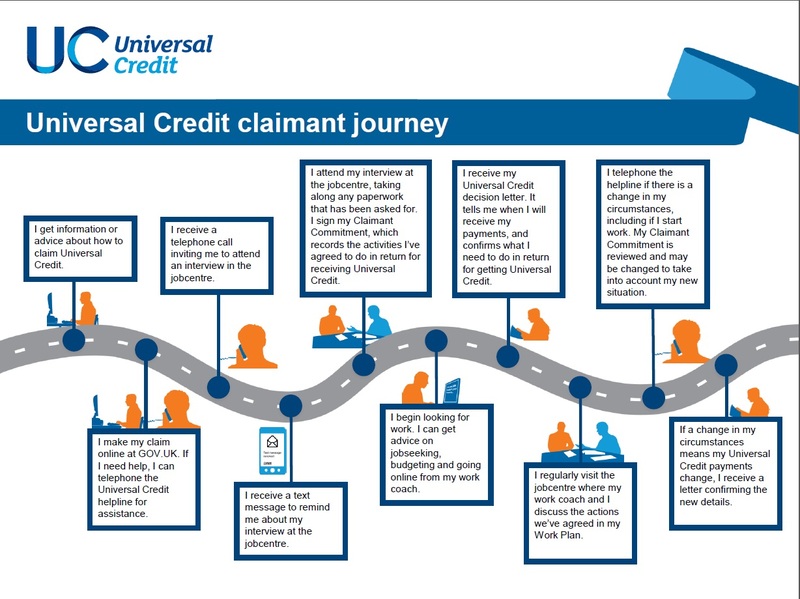 Universal credit combines benefits such as jobseeker’s allowance and employment and support allowance, as well as housing benefit and tax credits, into a single monthly payment. A report by charity Citizens Advice last week called for the universal credit rollout to be paused, citing “significant problems” with the system. Research by the charity suggested many claimants fell into debt waiting for their first payment, which takes six weeks to process, while Citizens Advice also raised concerns over universal credit’s administration. The charity believes that by 2022 more than seven million households will receive universal credit, 54% of which will have someone in work. We look forward to seeing some detail relevant to these points in this, though not being a wealthy toff who reads far-right papers like the Times I do not have access to the article.